A short-sea trade RoRo passenger ship built by Western Marine Shipyard Ltd., is the most advanced built in the yard so far. 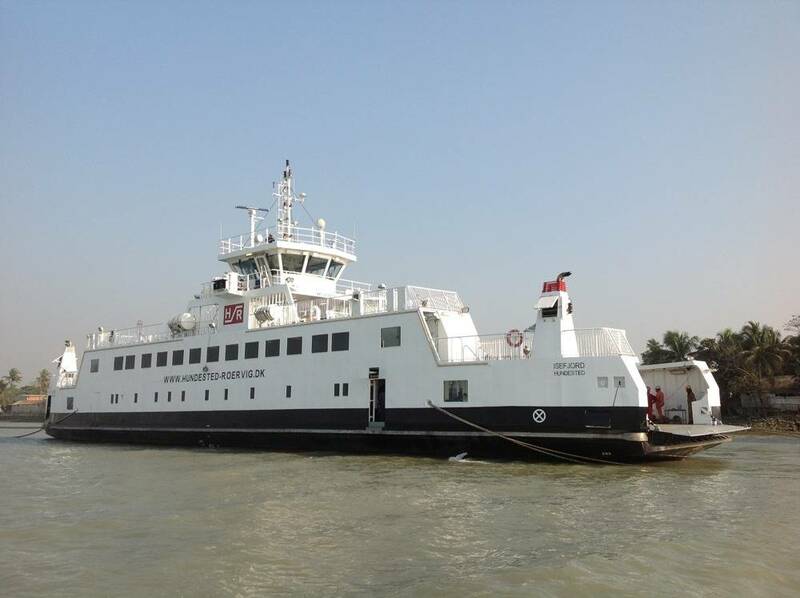 This is the first time Bangladesh has exported a passenger ship to the European market, in compliance with the highest standards of modern technology & safety. Isefjord waas built for Danish owner Hundested Rorvig Faergefart to carry 147 passengers & 28 units of vehicle on a Danish coastal route. She is a fully-automated vessel constructed under class Bureau Veritas rules, and the Danish Maritime Authority, capable of making a fixed point full-circle turn, with operation from both forward and aft having dual operating bridges. In addition, Western Marine say that ship systems can also be monitored & controlled from a cellular phone or a laptop computer. The Commerce Minister of Bangladesh Mr. G. M. Quader attended the delivery ceremony as Chief Guest and the Danish Ambassador to Bangladesh Mr. Svend Olling joined as a special guest.